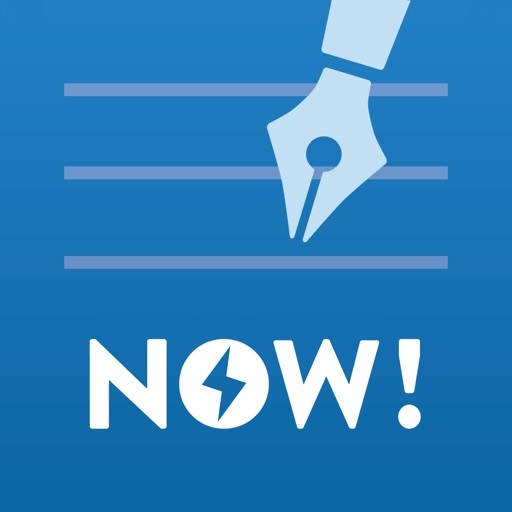 Letter NOW! 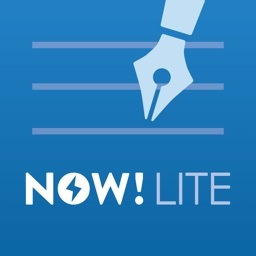 Lite will create a professional looking pre-formatted letter every time! Congratulations Letters, Thank You’s, Inquiries, Cover Letters, Proposals/Quotes, Request for Information, Recommendation Letters, Legal Letters, Personal Correspondence, Bill of Sale, Agreements, School/College Application Letters, Contracts, Resignation Letters, Follow-up, Sales Letters, Introductions, and more. IT'S EASY TO WRITE A DOCUMENT. - Create a new letter or document (or duplicate/clone an existing one). - Type or dictate the recipient’s information in the fields provided. - Enter the subject and body of the letter. - Closing details (Take Care, Regards, etc. ). - a "p.s." if you wish. 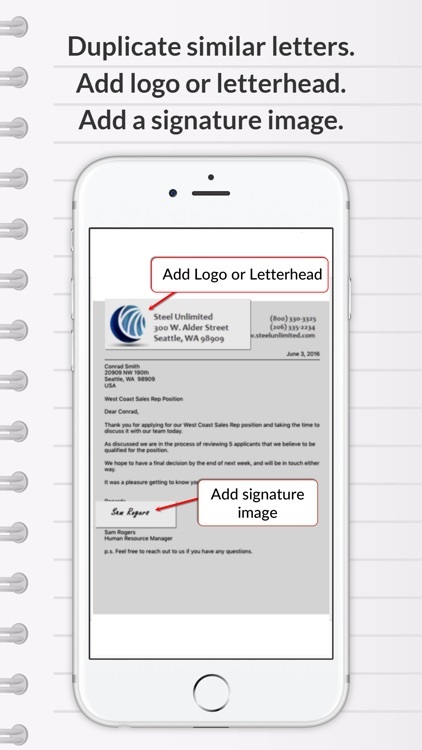 - Preview the letter, then Send it via email PDF. Letter writing doesn't have to be in the past. You'll stand out from the rest when you take the effort to send a proper letter for your correspondence. 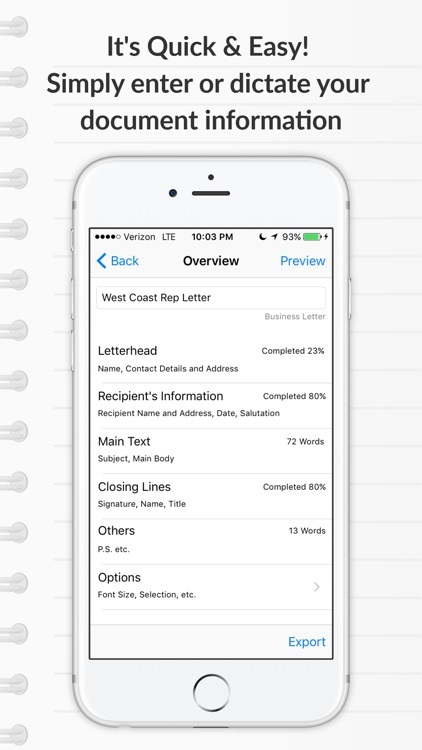 - Save, edit, and delete letter options. 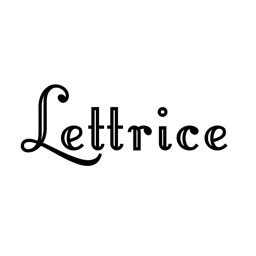 - Easily duplicate or clone letters for reuse. - Copy and paste text from your iPhone or iPad. 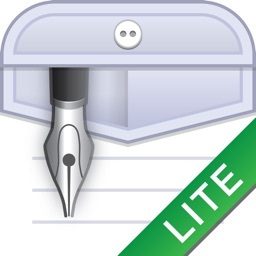 - Dictate your letter using your “built-in voice recognition” function. - Unlimited number of letters. 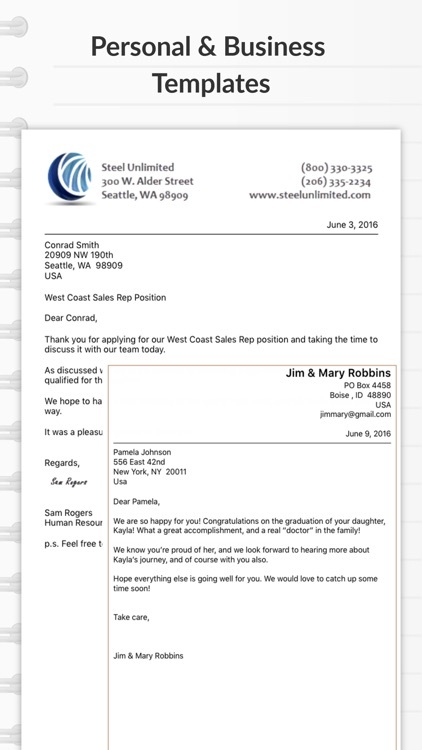 - Personal and US Business letter template format. - Enter your information once and save it to ‘My Info’ for future letters. - Font Style – select from fonts installed on your device. - Font Size - Adjust the font size – shrink to fit page, or increase for an easier read. - Border - Add/Remove Page Border. - Justification - Add additional center, right and full text justification. 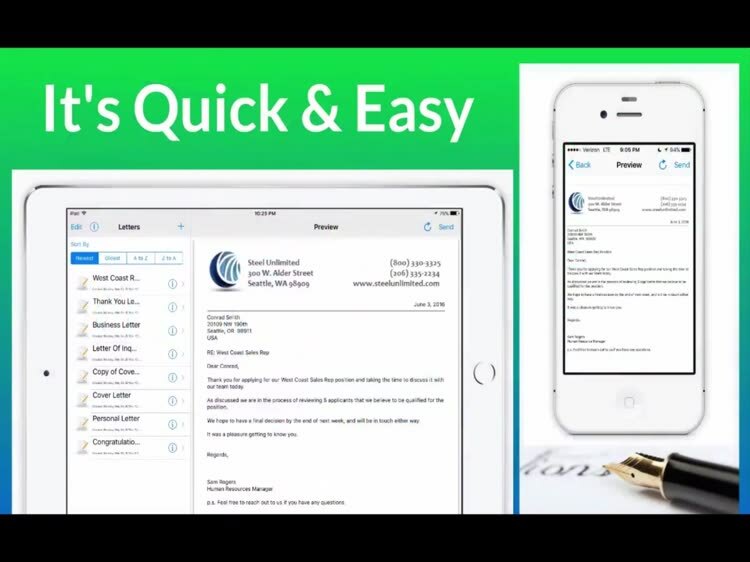 - Contact integration - Get your existing contact’s name and address from your device – saving you additional time and typing. 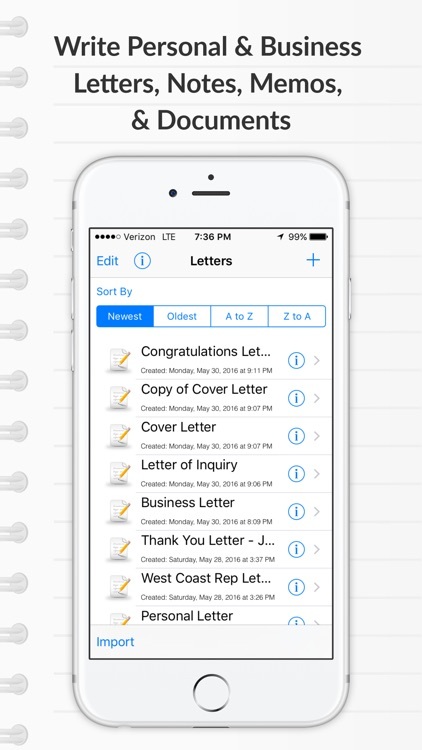 - Sort all documents by oldest or newest date, or by subject (A-Z or Z-A). - Add Letterhead or Logo - Add your business or graphics to personalize your letter even further. 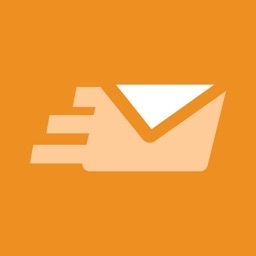 - Email your letter via PDF. 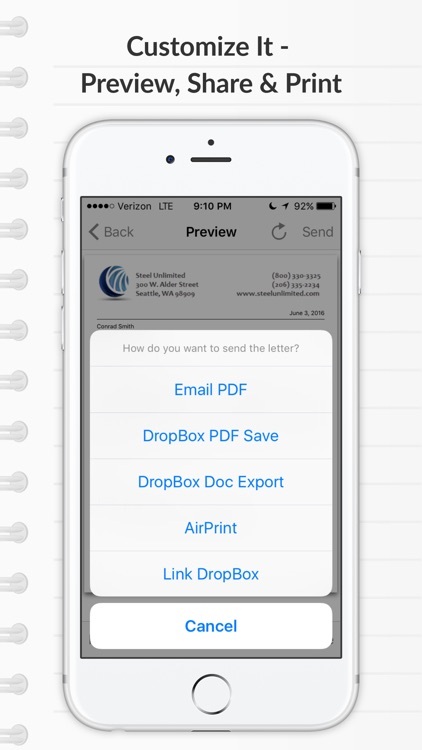 - Additional Sharing options: Dropbox, print via AirPrint. - Import/Export file to other Letter Now! users. Select from the following “a la carte” in-app purchase options starting at just .99 each. - UK & International Templates – Formatted for common styling in the UK/International (Right aligned, date format, …). - Multipage Option – Great for agreements and contracts, or longer letters and documents. Similar Apps to Letter NOW!